When I drove to work this morning, I saw the KTLA newsvan parked and set up to tape on the east side of Vine, just north of Sunset. What I didn’t know then was that legendary L.A. newscaster Hal Fishman’s star is located at 1560 Vine Street. I also didn’t know Hal Fishman had passed away last night. When I worked at KTLA a few years ago, I would run into various news folk as I running around the station. Hal Fishman was one of my favorite people to talk to; always well-informed, always a gentleman, always with a very distinctive point of view about the world around him. 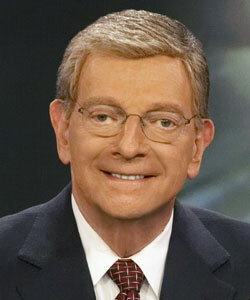 I shall miss his presence on KTLA News. The jozjozjoz.com archives for Tuesday, August 7th, 2007.